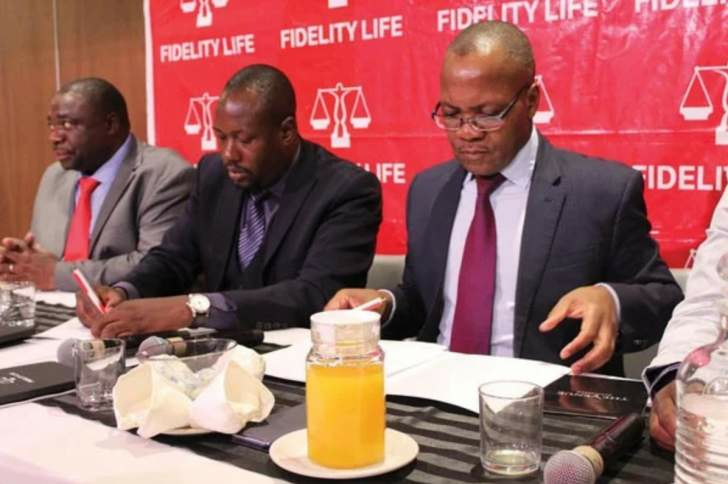 Fidelity Life Assurance has partnered the Premier Soccer League (PSL) where the financial services company will provide both medical aid and funeral assurance cover for topflight players for the next three years. The company is in discussion with the PSL for the establishment of a cup competition that they will fund starting this season. The deal was unveiled at a Press briefing attended by officials from both organisations as well as the Zifa presidium. Under the medical aid cover, players will be able to access private wards at government hospitals, some private hospitals and clinics as well as emergency rooms. They will be able to use their cards to seek medical attention from both general practitioners and specialists. As part of the deal, players sidelined for at least a month will get $500 for every month that they are not in action. Those that get career-ending injuries will be paid a lumpsum fee of $15 000. Players can also include their families on the medical aid scheme where they will pay special rates agreed between the PSL and Fidelity. In the event of death, the company will take care of all funeral expenses. This is the first time that such an initiative has been put in place, particularly the medical aid cover which will go a long way in assisting cash-strapped clubs that struggle to meet medical expenses for injured players. Last year, Caps United's Ronald Chitiyo spent the whole season on the sidelines as he struggled to get operated on his knee after an injury, with his club failing to raise the required funds. Fidelity Life Assurance chief executive officer Reuben Jaya said his organisation decided to partner PSL after so much thought last year. He said his organisation will benefit a lot from associating itself with a sport that appeals to the generality of the population. "We wanted to take the brand out there, so we thought about it and said what can we do and then we chose partnering football," he said. "We are now the official life assurance and health partner for the PSL. This is a three-year sponsorship where Fidelity will provide medical aid cover for players in the PSL. Players will get a medical aid card that is widely acceptable. They will be able to access private wards at government hospitals, selected private hospitals and emergency rooms. They will also get dental and optical services cover. We are doing this because football is the biggest and most loved sport in the country. We can attract large numbers and that is essentially what has attracted us to football." PSL chairperson Farai Jere was ecstatic about the partnership saying that it will lift the burden off the struggling clubs. "We would like to commend Fidelity for having the foresight to come up with such an arrangement. This partnership will go a long way in ensuring that players perform at their optimum levels. We are operating in a difficult economic environment, so we cannot take for granted this initiative by Fidelity," Jere said.